Lost's unexpected but most welcome return to form continues through the latter part of the third season, which addresses some of the series long-standing questions and hints at a potentially titanic shift in perspective and format to come in the fourth season. Last time we covered up to the episode Left Behind, which had Jack finally setting out to rejoin the beach camp after fourteen episodes as a prisoner of the Others. In One of Us the long-expected reunion takes place. However, between the back-slapping there is an element of tension over the presence of Juliet, which leads to a well-acted confrontation between her, Sayid and Sawyer in which Juliet emerges on top through her expert use of their backstories against them. Her own flashback reveals her true purpose in being on the Island - investigating why every woman who has conceived on the Island dies before their third trimester - and is quite compelling, as well as revealing previously unknown information (Juliet and Goodwin, the Other killed by Ana-Lucia in The Other 48 Days, were loves; there was a massive battery of TV screens picking up satellite news from around the world in the Flame station before Locke blew it up). A solid episode with a strong final scene that sets up the end of the season nicely. Catch-22 focuses on Desmond, and gives us a very enjoyable Island 'jaunt' where Desmond, Charlie, Hurley and Jin set off on a trip into the jungle (albeit with Desmond's foreknowledge of an important event about to take place). This quickly turns into something more serious, as once again Charlie is in danger of being killed, and a newcomer arrives on the Island, bringing the possibility of rescue with her. Flashbacks deepen an understanding of Desmond's character, revealing his time spent in a monastery (hence his constant use of 'brother' as a mode of address) and chronicling his first meeting with Penny, although it also features another hint that outside forces are manipulating Desmond for unknown reasons (the mysterious old woman from Flashs Before Your Eyes is revealed to know the head of the monastery). Another solid episode with some good laughs, although the Charlie-dying-wait-no-he's-not storyline is in danger of becoming repetitive. D.O.C. follows up on One of Us by having Juliet learn of Sun's pregnency. She takes Sun to the medical station to find out if she conceived on the Island. The flashbacks cover Sun being blackmailed by Jin's estranged mother and reveal how exactly Jin ended up working for Mr. Paik as his enforcer. This is a very startling and telling scene which completely shifts all of Sun's past actions into a new light (as well as featuring a nice Lost Experience crossover, hidden away in Mr. Paik's Korean dialogue). The result is a strong episode focusing on the emotional turmoil of the characters, something the show did very well in the first season but has been on shakier ground with since. Fortunately, Yunjin Kim turns in a great performance and makes for a solid episode. The Brig, on the other hand, is a great episode. Locke recruits Sawyer to kill his father, resulting in a dramatically powerful series of confrontations between Sawyer and Cooper and, in flashback, between Ben and Locke. All of the actors are on top form here, and Josh Holloway gives a career-best performance in the closing scenes of the show, whilst once again there is the feeling of events accelerating out of control as we run towards the season finale. The result is the strongest episode of the series for over a season and a half. The Man Behind the Curtain is mildly disappointing. It's Ben's first flashback episode and features a lot of backstory revelations, such as much more info on the DHARMA Initiative's presence on the Island and their relationship with the Others. However, the flashback is light on real meat, not telling us anything major that had not already been concluded by avid viewers. The absence of the Monster (at least in its smokey form) in the flashbacks is also mildly irritating, as this was a prime moment for the producers to shed more light on it. That said, any lingering sympathy the audience had for Ben is extinguished by the end of the flashback, which sheds a slightly more serious light on the comical events in Tricia Tanaka is Dead. The on-Island storyline is much more interesting, as Locke and Ben go to see the mysterious Jacob. What follows is hands-down the single most bizarre scene in the history of the entire series, rivalling Twin Peaks at its most surreal. At the same time there is finally a hint that an answer actually exists that accounts for a large chunk of the show's lingering mysteries. And the ending is powerful and startling, Lost at its best. Greatest Hits is more lightweight, but also more emotionally interesting. Charlie has been given a bad ride as one of the weakest characters on the show, and certainly since he kicked the heroin habit in early Season 2, his storyline seems to have been going nowhere. However, in this episode he has a fair amount to do, which Dominic Monaghan pulls off with aplomb, and his flashbacks are actually quite appropriate for the episode. Combined with a surprising ends, this makes for a good episode. The season finale, Through the Looking Glass, is the show's best finale to date. Once again Lost employs its large ensemble cast and the two-hour length of the finale to have a busy episode with lots going on and all of the characters having their moment in the sun. Timelining everything so it all happened at the right time must have been tricky for the writers, but they did it quite well. Lots of action - this is easily the most action-packed episode of Lost ever - and startling revelations give way to a surprisingly upbeat final on-Island scene. The knowledge that Jack would be the focus of the flashbacks was puzzling, as his backstory doesn't seem to allow for much in the way of series-changing major events, but the writers pull off a brave move for the show which should see it transformed next year. It's not an original idea - Heroes did something similar fairly recently and Babylon 5 did the same thing several times over its run - but the introduction of flash-forwards to the show's arsenal of storytelling tricks is very welcome, and the glimpse of what happens to our heroes a couple of years after they get off the Island is intriguing. Overall, Lost's third season began very poorly, but soon picked up a gear as the producers and writers finally delivered on their promise to tell us more about what's going on. The finale was a particularly impressive piece of work, and the change in the flashback structure of the show was long overdue. Against all odds, Lost has returned to the quality it enjoyed in its first season and the start of its second. Whether it can maintain that into the final three seasons is another question, but the fact that the show now has a definite end date (May 2010) and a finite number of episodes left (48) to tell its story should focus the writers on making the journey ahead as interesting as possible. 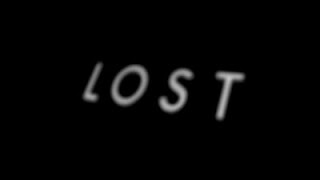 Forthcoming: Lost Season 4 will debut on ABC and Sky One in February 2008 for a 16-episode run.